Click here to check availability or to rent your holiday weeks. We generally reserve January through March weeks, but we can get other weeks, please see below for details. 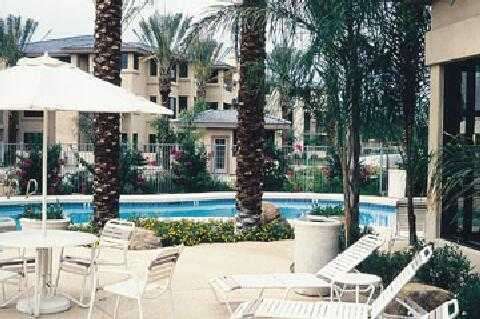 The desirable 1309 square foot three bedroom Scottsdale Links Resort lodging accommodations sleep up to 8 people. They include the same amenities as the 2 bedroom units otherwise, except for the additional queen bed in the 3rd bedroom. We have access to many weeks at the Scottsdale Links Resort, so please inquire, or search and enjoy for the week you want. Nestled between the TPC Desert Golf Course and the beautiful Fort McDowell Mountains, there are more than 100 championship courses within a 30-minute drive of Scottsdale Links Resort. The resort is only 2 miles from West World for the Arabian Horse Show (February 14 to 24, 2013). 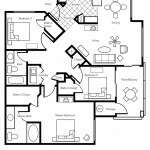 Each of its elegantly appointed suites has its own living/dining room, full kitchen, and laundry facility. A heated lagoon-style swimming pool and spa is adjacent to the state-of-the-art Scottsdale Links Spa & Fitness Center, which features a steam room and whirlpool. The resort is conveniently located to numerous outdoor plazas and enclosed shopping malls. 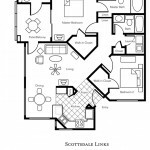 Scottsdale Links Resort showcases elegantly appointed accommodations with private patios that provide guests the ultimate in convenience and luxury. Vacationers interested in the magic of Scottsdale, Arizona, will find this resort nestled between the TPC Desert Golf Course and the breathtaking McDowell Mountains offering a host of scheduled activities, tennis, and relaxing pool and spa-side areas. Photo credit: Scottsdale Links Resort.